Could the wine in your cellar be your family's best investment? Next time you feel hard pressed to justify that expensive hobby of yours, consider this: more and more of America’s most affluent investors are taking up so-called “hobby investing,” and often making good money in the process. The premise of hobby investing is simple: you invest in products you would have bought for fun anyways, such as art, wine, stamps, classic cars and more. Not only can this approach add tremendous diversity to a portfolio, it can also produce some robust returns. As richly priced stocks, poorly yielding bonds and fears of inflation make tangible assets more appealing to investors, more than half of high net worth Americans are adding hobby investments to portfolios, according to BMO Private Bank. Many investors don’t expect to make a killing. About 62 percent of hobby investors are doing so mainly for fun, according to the study. About 40 percent also look forward to passing something unique down to heirs, the study said. For investors like this, the goal is less about making competitive returns than finding a weekend activity that pays for itself, said Jack Ablin, chief investment officer of BMO Private Bank. For the 39 percent who are looking for a sound investment, however, a pretty strong case can be made for hobby investing. If you pretend for a moment that a car or a bottle of wine is a financial instrument, you might notice that it has some pretty appealing features. One of the most compelling is diversification. Wine, for example, has only a 15 percent correlation with the market, said Mark Ricardo, president of Trellis Fine Wine Investments. Correlations are similarly small for antique cars, as well as most fine art, experts say. When the financial crisis struck, many of these assets took a smaller dip than the S&P 500, and then recovered more quickly. The benefits of diversification are so compelling, in fact, that collectible assets should comprise between 3 and 8 percent of the typical investor’s portfolio, said Enrique Liberman, president of the Art Fund Association. “Many investors use classic cars as a hedge against the market, or at least as an alternative investment,” said Dietrich Hatlapa, founder of the Historic Automobile Group International. As any finance professor will tell you, modern portfolio theory suggests that the less an asset moves with the market, the smaller should be that asset’s expected return. In recent years, however, hobby investments have offered the best of both worlds: low correlations and high returns. Take wine, for example. Between 1993 and 2013, a diverse portfolio of investment grade wines would have returned 13.62%, more than double that of the S&P 500. Fine art, meanwhile, has returned more than 6 percent between 2003 and 2013. The most impressive by far, however, are classic cars, which appreciated 430% during the same period, according to a study by Knight Frank. So should we all pile into hobby investments? Not so fast. For all their benefits, hobby investments are among the most difficult asset class to get involved in. For most investors, the possibility of creating a lucrative private collection of cars, wine, or art is simply off limits. The most successful private collectors have deep subject matter expertise and the insider connections needed to find the best deals. There’s also a major economic barrier: you don’t want your retirement riding on a single bottle of wine, for example. 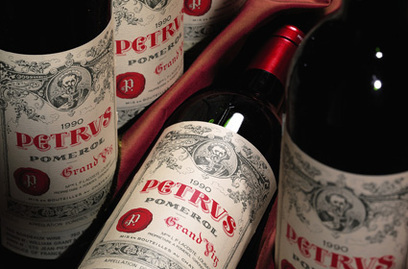 To buy and store a diversified array of fine wine, said Ricardo, requires at least $100,000.